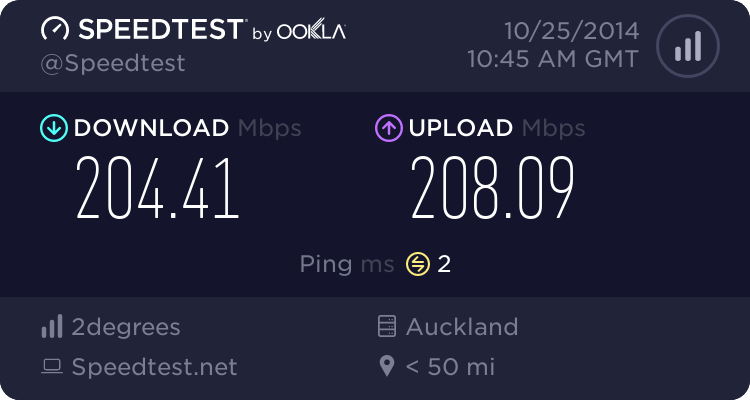 I have been switched over from Orcon 30/10 to Snap 1000/500 and I'm currently receiving 30/500 according to speed tests. I have a Netgear R7000, Does anyone know what I can do to get full speed out of my connection? Have you tried simply calling snap? it sounds like your profile just needs fixing up.. I bought the same router a month ago and was disappointed by the WAN to LAN performance initially. The problem was hardware NAT wasn't being enabled on the stock firmware despite testing every setting and previous firmwares. I couldn't verify DD-WRT worked since it didn't play nicely with vlan tagging through telnet or the web interface, this was on a version that still supported hardware NAT as the most recent no longer do. 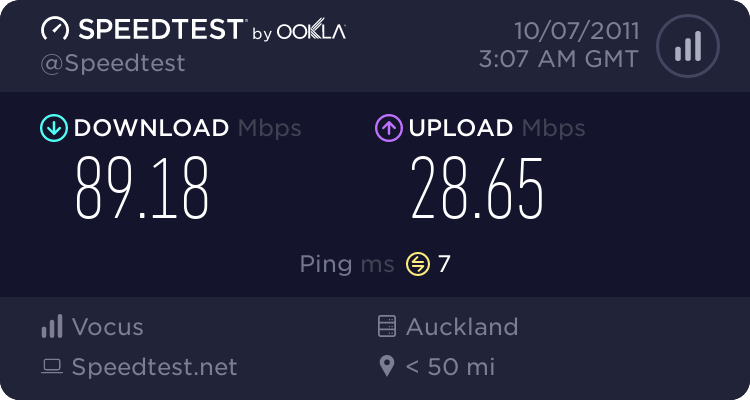 After installing and configuring v378.52_2 I got 850 megabits on SpeedTest versus 500 megabits on stock. I'm liking the Asus interface a bit more than the Netgear interface as well. The only change I had to make after installing the firmware was removing a MAC address that for some reason appeared in 'Special Requirement from ISP' under the WAN page. Before I did that it was stuck around ~370 megabits on the merlin firmware, glad I didn't give up even though the performance was initially worse. If you have any issues I'm more than happy to help! Get a Fritz!box.. solves all problems. SCM: Get a Fritz!box.. solves all problems. All problems apart from poor wifi performance... Snap supports the Fritz!Box pretty well though. My house is quite narrow but wide and I wanted to avoid a repeater router, otherwise I probably would've gone with one for convenience. Simple way of testing to see if your router's processor can't keep up with the speed. Open 2 browser windows, run a speedtest in 1 window and browse your routers admin webpages in the other window. If the admin pages take ages to load while a speedtest is running. Then most likely the routers processor is too slow. I think that makes a lot of assumptions. What if it has a co-processor to do NAT etc.? Or if its a multi-core processor that one of the processors is dedicated to the admin page? Most people use Iperf. Is that on WiFi or cabled? I get about 900 down cabled on a WRT1900AC, NF8AC and Spark HG695b. WiFi to my MBP from the WRT1900AC brings it down to about 450mbit. I had the same problem with the speed as you and just called them, they fixed it while I was on the line. My Fritz 7390 works great. Wifi reaches to my greenhouse out back, though not through the two thick block walls, and half way up the road. It's mounted in a high cupboard. 2.4GHz goes a bit further than 5GHz.